M. Shiomitsu 9th Dan Hanshi is pleased to confirm the appointment of Arthur Meek 7th Dan Renshi as Assistant Chief Instructor of the Wado-Ryu Karate-Do Academy. 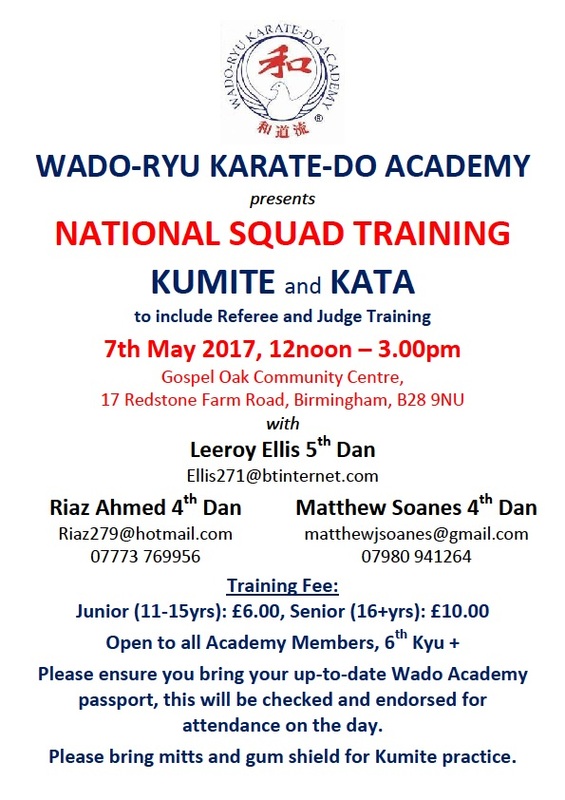 This appointment was formally announced on 17th February 2018, the first day of the Wado-Ryu Karate-Do Academy Winter Course at the Guildford Spectrum Sports Centre. Please let the admin table know if you do not have your own transport and will need a lift to and from the venue in New Milton on Monday 24th and Tuesday 25th July. 2017 Winter Course forms are now available. 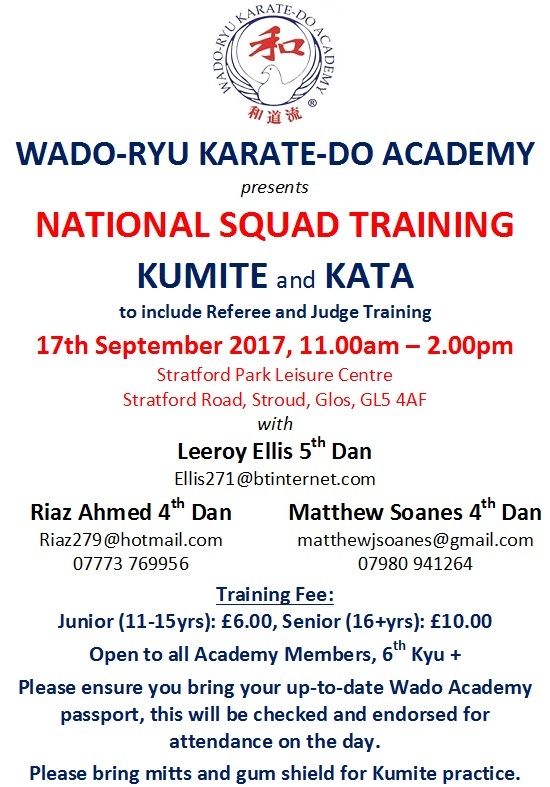 Please see the Wado Academy courses page for more info.